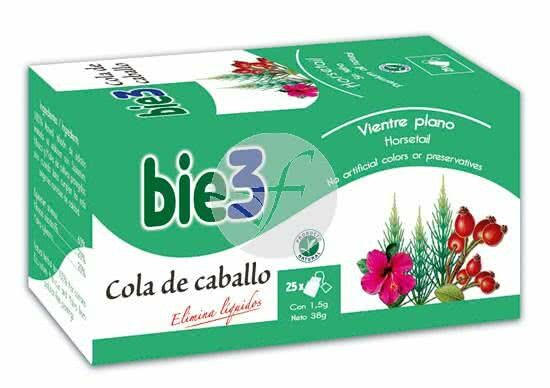 the ponytail has been used traditionally in Europe as a diuretic, since flavonoids and minerals containing increase the Elimination of urine. You are advised to drink a Cup after lunch. Put in a cup or teapot, one sachet per person, pour over the same water about to boil and keep at rest 3 minutes, sweeten to taste and drink it. horsetail (Equisetum Arvense), Malva Sylvestris, Hibiscus Sabdariffa. Box with 25 bags of 1.5 gr. bags filter ecological, without staple. New matchbook sealed.